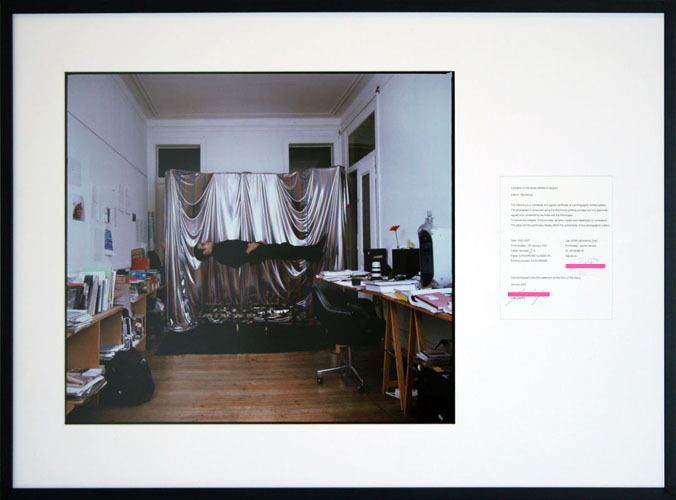 The following is a numbered and signed certificate of a photographic limited edition. The photograph is produced using the Ilfochrome printing process and it is approved, signed and numbered by the Artist and the Printmaker. To ensure the integrity of the process, all extra copies were destroyed on completion. The artist and the printmaker hereby affirm the authenticity of this photographic edition. One photograph joins this statement as the form of this piece.